Hi there! 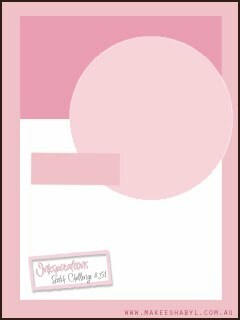 I have a card to share with you that I made specifically for two challenges - the There She Goes TSG83 - Cards for Kids Challenge and for the Inkspirations Sketch Challenge #51. 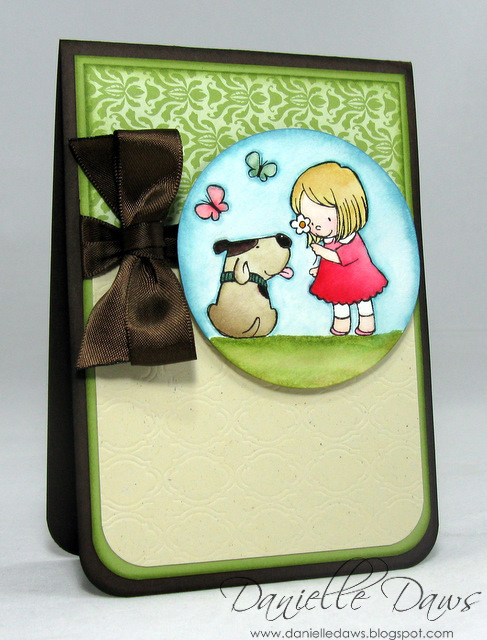 I've used a There She Goes stamp called Puppy Love for the first time with this card, and I love it! It's so adorable! If anyone has noticed that I tend to do watercolouring on my cards in bursts, as in lots all at once and then no watercolouring for awhile, it's because it coincides with me having a lot on my mind. And colouring helps me to stop thinking. Go figure! At least I get lots of practice... let's just hope it's paying off!! Very 'casual' comment :)...love it! 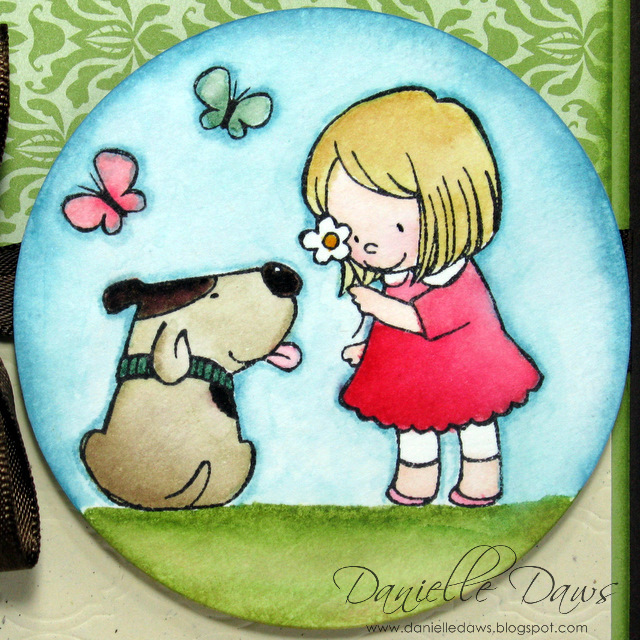 This is such a cute image, fabulous colouring, as always, to go with a gorgeous sketch! Just beautiful. Very cute image and great colouring. I love the impression plate background too, it looks fantastic. 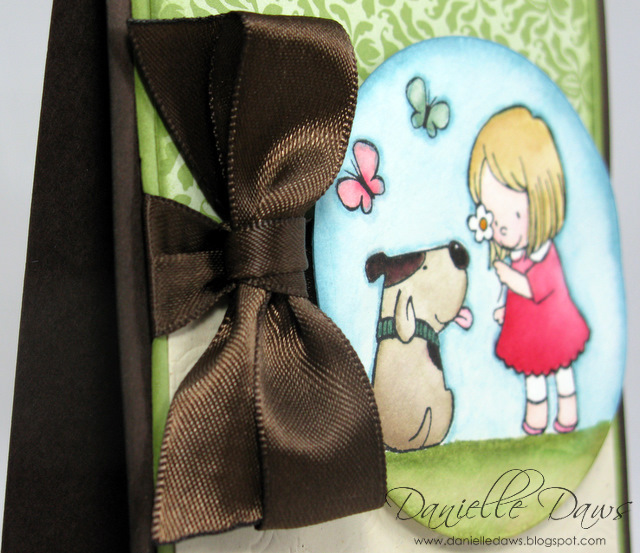 Awesome ribbon and designer paper as well. Great take on the Inkspiration sketch. So pretty, Danielle! Love the rounded corners, love the image, love the colours! Oh, it paid off in spades, lady! Your coloring is magnificent! Thanks for playing! Congrats on your trendsetting spotlight at TSG! This is beautiful! Your watercoloring is amazing. Wow, your coloring is awesome!!! Love it!